Casey Burns flutes are known for their ease of tone production and comfortable ergonomics. 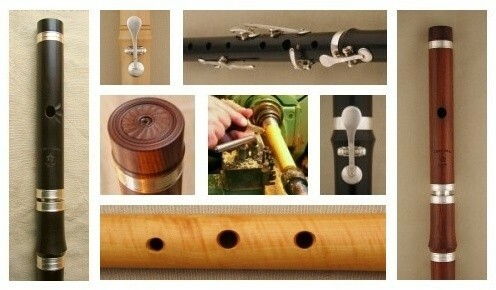 The beginner will be rewarded with a responsive flute that accommodates her or his growing skills. The experienced player will be rewarded with a versatile and sophisticated performance instrument. Please follow the links to the right to browse our catalog pages. Casey's flutes are remarkable for their firm and cooperative tone, balance across registers, and correct intonation. Please also read in our NEWS page about Grey Larsen's new book, The Essential Guide to Irish Flute and Tin Whistle.